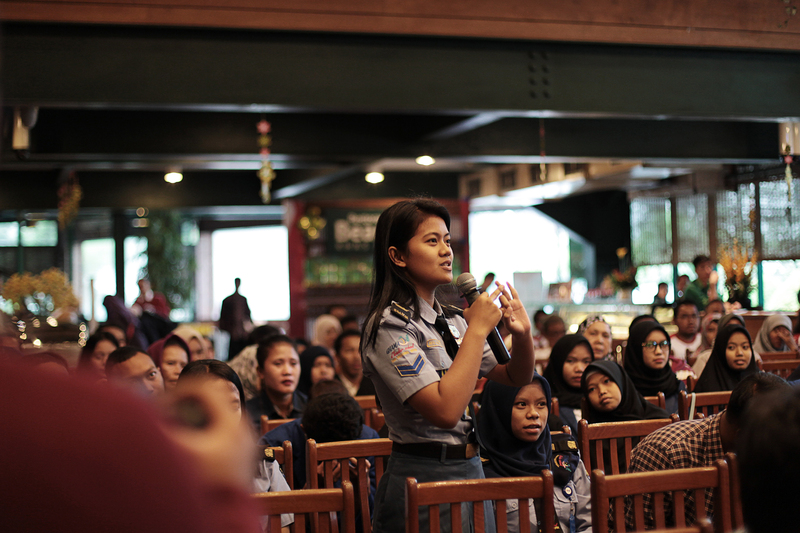 Jakarta, 19 May 2018 – In keeping with YCAB Foundation’s mission to make underprivileged youth self-reliant through access to education and economic empowerment, the program ‘Preparing the Nation’s Children for Work’ (Anak Bangsa Siap Berkarya), has been successfully implemented in Greater Jakarta. 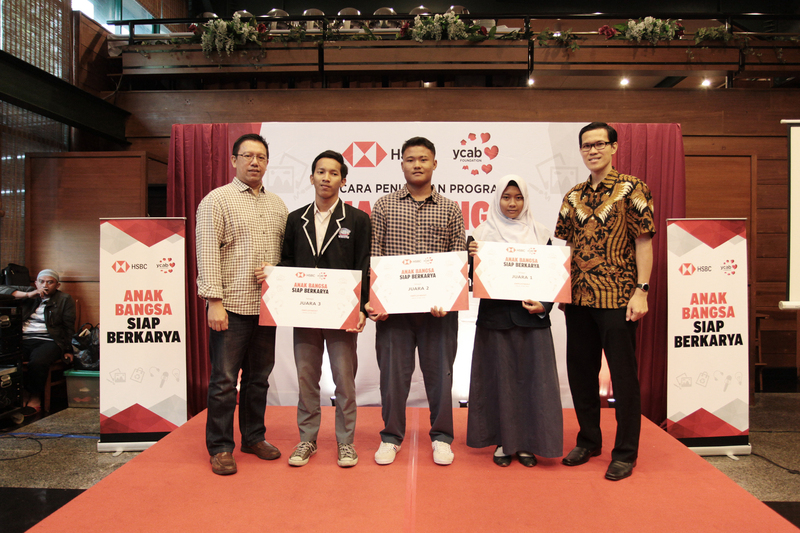 The program was a collaboration between YCAB and HSBC Indonesia. Participants were given theoretical and practical training about entrepreneurship and the job market. They were educated on important skills such as: interpersonal skills, how to present professionally, how to write a résumé, and how to approach job interviews. Regarding entrepreneurship, participants were taught financial management procedures as well as how to develop and apply new business ideas. This program was designed for mothers who wish to become micro entrepreneurs or to expand their businesses. Participants received instruction in financial literacy, and on how to grow the capacity of their businesses. This program was targeted at economically challenged mothers. Around 80 volunteers from HSBC Indonesia were involved in a program to benefit mothers by mentoring them in financial literacy and through economic empowerment programs. The ‘Preparing the Nation’s Children for Work’ program in Greater Jakarta was officially concluded with the selection of three business ideas, those of: the Tenun Flores team – from SMK Perguruan Cikini, the Bubur Troll team – from SMK Jakarta Pusat; and the Everlasting Fresh Juice team – from SMK Jakarta Pusat. Meanwhile the winners of the employment program competition were : Rovita Nur Aini – from SMK Perbankan Nasional, Rafli Erik Cahyono – from SMK Nasional Depok, and Samsul Muarifin – from SMK Reformasi. “We supported the ‘Preparing the Nation’s Children for Work’ program to prepare Indonesia’s younger generations for work after having completed their education. This reflects our commitment to building sustainable businesses. By contributing to social advancement, HSBC Indonesia is playing a role in helping to progress the wheels of the economy,” said Nuni Sutyoko, Head of Corporate Sustainability at PT Bank HSBC Indonesia. “YCAB’s mission is to help Indonesian youth to become independent. We can see the participants’ enthusiasm for expanding their own capacity, and we have good reason to hope that after the end of the program, the participants will be able to use the training and skills which they have received to develop a business or get a job that will sustain them,” stated Mario Montino, Chief Operating Officer of YCAB Foundation. At the moment ‘Preparing the Nation’s Children for Work’ programs are ongoing in four other cities, namely Bandung, Semarang, Medan, and Surabaya. HSBC Indonesia’s collaboration with YCAB Foundation in these programs is for the four years to 2019. ‘Preparing the Nation’s Children for Work’ realises HSBC Indonesia’s commitment to education, in accordance with YCAB’s mission to have provided access to education and to have made 5 million underprivileged youth self-reliant by 2020.